One of my brilliant poetry teachers assigned Eshleman’s book to my poetry workshop in college. It is like no other poetry textbook and if you’re even remotely interested in poetry, you must (you must) give it a go. I started re-reading the text only one week ago and I find myself tearing through the pages, ripping through every line and idea, until I move so quickly that I have to start all over again. 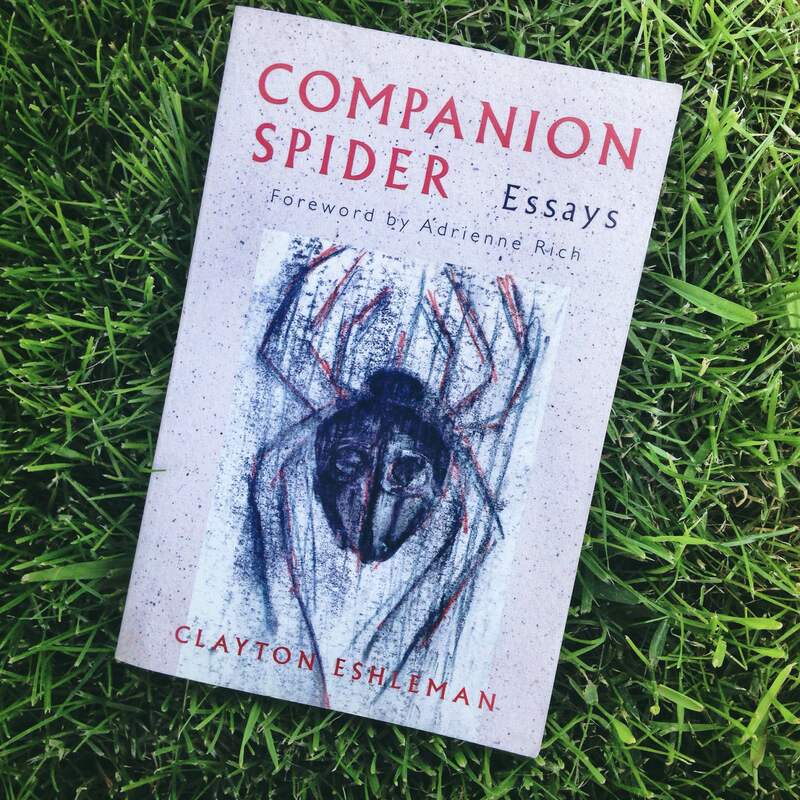 It is a deep meditation on art and the poetic life, and sometimes you think you’ve got it and you’re hanging on to the string in the dark only for Eshleman to plunge you deeper. Eshleman then explains, “The charge is to enlighten yourself on yourself, to refuse continuing initiation by parents and teachers, but the contradiction (to be ingested , not stopped before) is that the discovery of poetry is also the discovery of the soul of the world that has already been formed – it is an immense and detailed rose window made up of all the initiations and stories of imaginative art. It in fact includes stories and figures you will never know about because they are in languages (or places) that you will never read (or see). The cathedral was built way before you arrived. But you are not here to worship-“. Then what are we here to do? I do know that as artists, we can’t be afraid to detonate our sense of self and identity, set fire to everything we think we know. Start by checking this book out at your library or buy it on Amazon, or read it on your Kindle or iPhone. Just read it, okay? And when needed, cradle the book in your arms and hold it close. That’s what I do when Eshleman drops small explosives into my mind and heart. It does really help.